The American Humane Association (AHA) has come under fire for allegedly failing to protect animals from abuse and neglect in film and television productions. In a lawsuit filed by Barbara Casey, former Director of Production in the AHA’s Film and Television Unit, the AHA is accused of wrongfully terminating Casey’s employment. AHA’s animal safety representatives worked on the set of HBO production “Temple Grandin” and observed a cow killed on set. Despite the cow’s death, the AHA gave the production its “No Animals Were Harmed” end credit. During the production of a Proctor & Gamble commercial, a bulldog belonging to Studio Animal Services died after being left in a van on a hot day. AHA allegedly chose not to investigate or to issue any citations for this violation, and instead gave the production its “No Animals Were Harmed” end credit. During the production of the Oscar Winning film Life of Pi, the tiger appearing in the film was handled without proper care and almost drowned. Despite the near death of the tiger, AHA gave the “No Animals Were Harmed” end credit on this production. During production of The Hobbit: An Unexpected Journey, twenty seven animals were killed, including horses, goats and sheep. AHA gave a misleading end credit for this film, which read as follows: "American Humane monitored all of the significant animal action. No animals were harmed during such action." A horse was killed during production of the film War Horse, directed and produced by Steven Spielberg. The AHA allegedly agreed to cover-up the death of this horse and to give the film its “No Animals Were Harmed” end credit. The use of animals in movies, television and advertising comes at a high price for the animals and, commonly, the companies using them are unaware of the suffering. Through our undercover investigations in Europe and the US, ADI has been able to show the harsh reality for the animals. Our discussions with different companies means we are steadily increasing the number of major companies who have agreed to introduce a responsible animal policy – an undertaking not to use live animals in future. 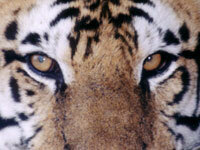 Click here to donate now and help end the use of animals in entertainment. Click here to find out more about animals in entertainment.